The bio of Sir Hugh Piper | Launceston Then! Sir Hugh Piper of Tresmarrow, Launceston, came from a merchant family prominent in the municipal life of Launceston since the early 16th century. He and his father were both in arms for the King in the Civil War. He served under Sir Bevil Granville and was three times wounded. In 1650 he compounded under the Exeter articles at £71 5s. 6d. He was denounced as one of the chief solicitors for royalist designs in Cornwall in 1651. After the Restoration Piper was given a commission in the regiment of Lord Bath, Granville’s son, at Plymouth, and in 1672 became deputy governor of the citadel with a pension of £100 a year. In May 1676 he was seriously wounded by a subaltern who accused him of sharp practice over the sale of a horse. He was knighted during the King’s visit to Plymouth in 1677. His only surviving son, Philip, having died in 1678, he succeeded him as constable of Launceston castle, where he was the senior alderman. He represented the borough in the second and third Exclusion Parliaments and James II’s Parliament as a court supporter. He was appointed to no committees and made no recorded speeches. When Bath remodelled the Cornish charters in 1685 Piper was reappointed to the Launceston and Plymouth corporations and made a freeman of Liskeard. He died on 24 July 1687, aged 70, and was buried at Launceston, leaving his ‘good friends’ Shilston Calmady of Leawood and Josias Calmady II as trustees for his grandsons. None of his descendants entered Parliament. 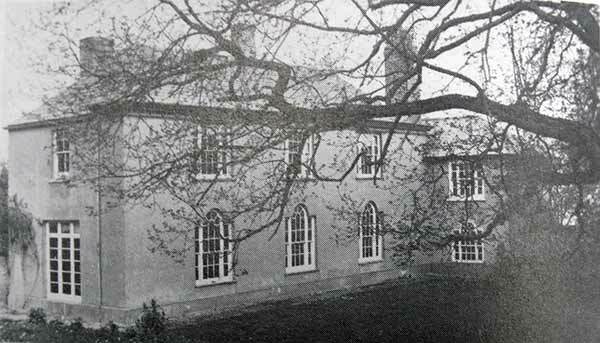 He built Madford (House) (above) in Launceston and gave it to his son, Philip, on his marriage to Mary Gaer, of Plymouth, and continued himself to reside at Tresmarrow. However, Philip died in 1677, during his father’s lifetime, when only 32 years of age, and his son, Hugh, went to Madford. In due course he moved to Tresmarrow and in 1710 conveyed Madford to his brother Granville, who was a barrister of the Middle Temple and who died in Bath in 1717, aged 38. He is one of the two men commemorated on the very large monument on the north side of St. Mary’s church.